Ms. Cassie Young serves as the Chief Commercial Officer at Sailthru, where she partners with top retailers and publishers to help them personalize their customers’ digital experiences. 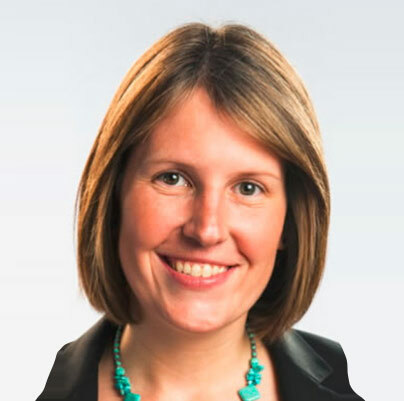 Ms. Young joined Sailthru from Gerson Lehrman Group, where as Vice President of Marketing Analytics & Intelligence, she led GLG’s intrapreneurship efforts and evangelized lean development across the organization. Previously, she served as Vice President of Marketing for Savored (acquired by Groupon). She was an early employee at TheLadders.com, where she oversaw direct marketing and analytics for the company’s subscription business and drove 7x growth in revenue and readership in just a few years. She started her career as an internet and media analyst at Citigroup Investment Bank and has also consulted for leading digital brands such as AOL and SapientNitro. She graduated from Duke University and holds an MBA from the Tuck School of Business at Dartmouth. Read about Cassie’s Tuck Business Bridge and MBA experience.